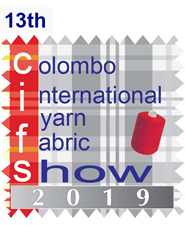 PREVIEW: 13th Colombo International Yarn & Fabric Show 2019 – Fall Edition, the leading and Only International Exhibition in Sri Lanka on International Yarn & Fabric Manufacturers / Suppliers for the entire Apparel & Textile world of Sri Lanka, expected to once again draw huge visitors from the expanding Apparel & Textile arena of Sri Lanka. Sri Lanka, with its Apparel exports rising steadily and surpassing US$ 4.9 Billion, is firmly closing the lead in exports of apparels and garments over its competitor countries like India, Bangladesh, and Vietnam. As per the World Bank, Sri Lanka recorded the strongest economic growth among the South Asian Nations hitting 7.2%. Sri Lanka Apparel industry is positioning itself as a fast fashion and logistical hub for the entire South Asian Region. Taken as a whole the South Asian region accounts for a 17% market share of US apparel imports and this figure is increasing on an annual basis. The large labor force and textile resources mean that there is continually growing capacity available in the region, and the rapid emergence of the domestic apparel retail market has created a new market for both global brands and factories that supply to them. The 13th CIFS 2019 – Fall Edition, timed at the right moment with Sri Lanka further investing in setting up new Apparel factories and expanding their present capacities to match the fast-growing exports, will cater to the requirements of the ever-growing Apparel Industry of Sri Lanka showcasing Cotton & Synthetic fabrics (Woven / Knit), Natural Fabrics (Woven / Knit), Yarn & Fibre, Fancy Finishing, Home Textiles, Accessories, CAD/ CAM & E-business. 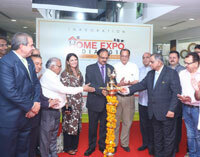 The ’13th CIFS 2019 – Fall Edition’ will be a marketplace for textile business as well as presenting the latest fabrics and trends. Exhibitors from around the world will present their up-to-date fabrics, which is ready-to-use for garment, accessories, industrial use and other various applications. 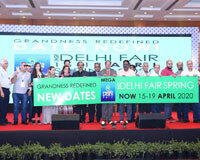 The `13th CIFS 2019 – Fall Edition’ will be fully equipped with all ranges of textile products enhanced with the latest technology, will set a new definition of smart fabrics in order to satisfy the growing demand of the buyers.